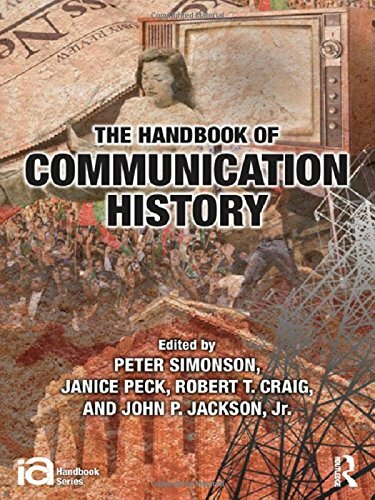 The Handbook of Communication History addresses central ideas, social practices, and media of communication as they have developed across time, cultures, and world geographical regions. It attends to both the varieties of communication in world history and the historical investigation of those forms in communication and media studies. The Handbook editors view communication as encompassing patterns, processes, and performances of social interaction, symbolic production, material exchange, institutional formation, social praxis, and discourse. As such, the history of communication cuts across social, cultural, intellectual, political, technological, institutional, and economic history. The volume examines the history of communication history; the history of ideas of communication; the history of communication media; and the history of the field of communication.ÃÂ Readers will explore the history of the object under consideration (relevant practices, media, and ideas), review its manifestations in different regions and cultures (comparative dimensions), and orient toward current thinking and historical research on the topic (current state of the field). As a whole, the volume gathers disparate strands of communication history into one volume, offering an accessible and panoramic view of the development of communication over time and geographical places, and providing a catalyst to further work in communication history.